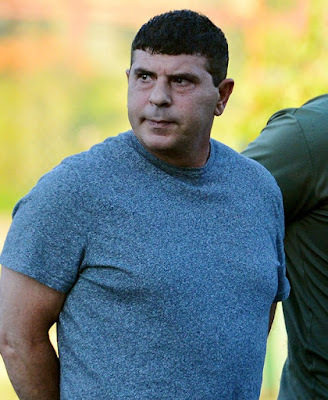 Ralph “Ralphie Sant” Santaniello Santaniello is facing more than six years in federal prison after pleading guilty to four criminal counts, including extortion. 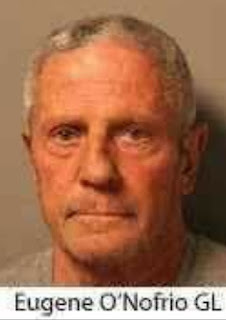 Santaniello, 50, is a made member of Genovese Crime Family’s Springfield Crew and is co-capo of the crew with his cousin, mobster Albert Calvanese. He has been held behind bars since his arrest on Aug. 4, 2016. He was among five gangsters locked up in connection with shaking down a tow company owner in 2013 and 2015. Santaniello admitted to slapping C.J. 's Towing Unlimited owner Craig Morel while demanding $50,000, plus $4,000, monthly in "street tax". Other members of the Springfield crew that were indicted: Francesco “Sammy Shark” Depergola (Soldier), Gerald Daniele (Associate), Giovanni “Johnny Cal” Calabrese (Associate) and Richard “Richie the Postman” Valentini (Associate). Santaniello is scheduled for sentencing Jan. 29th.